I think it is important to repeat and directly respond to the core allegations against me before we go on with the story. Like a long cross-examination in a courtroom, this chapter may get a little tedious, but I want to make sure that every hole is filled in. I want to specify everything that took place between myself and the student who reported me, including a transcript of our discussion of colleges. When you start getting bored, just skip directly to Chapter 4. In the nearly four months after I wrote a formal proposal for a lecture at UWCRCN, I received no direct acknowledgement from the school. This seemed strange to me, especially for a speaker coming from so far away. A time was set aside for me—7pm on April 11—but I received no direct communication that I was actually invited. It seemed more that my presence was merely "tolerated" because one of the students wanted me to speak. All of our negotiations were handled through my student contact ("Hero") who I met in Copenhagen. This student did a heroic job of mediating between us until, in the end, no further mediation was possible, but it should not have been his job. I want to emphasize that no member of the faculty or staff of the college made any attempt to contact me in any manner until I was about to board a plane to Norway, three days before the scheduled talk. This was a shock to me at the time. I had eight Facebook friends from UWCRCN and not one had voiced any complaint to me and none had unfriended me. I want to repeat that for emphasis: None of the eight students who had friended me after Copenhagen had unfriended me, which I'd think would be the first thing you would do if you are uncomfortable with interacting with someone. At the time of the email, I had no idea which of my Facebook friends had reported me or what had upset them, but purely from a systems perspective, it didn't make sense. How could you complain about someone to others without taking any action of your own to remove yourself from contact? Usually, when you say something that upsets someone on Facebook, they just unfriend you or restrict you. Right now, all of the people I friended are still my friends, without any obvious restrictions, and _ALL_ of them messaged me that they were looking forward to seeing me on campus... so I am suffering from a bit of a disconnect. On the surface, the Alistair's allegations sounded very sinister. You had this middle-aged American man corresponding with a high school student, and he is saying things to her on social media that she finds disturbing. The conversation was off-color enough that she is uncomfortable with his presence on campus and reports him not just to a counselor but directly to the headmaster of the school. Wouldn't you like to know the content of this disturbing communication? Well, I'm going to show it to you. All of it! We discussed college choices, nothing more. The only personal question I have ever asked her was what colleges she had been accepted to, and that is all we discussed. Period. I also visited one of the colleges, at her request, and took some photos there, which I passed on to her on Facebook. I had eight Facebook friends from the school, but only five of whom I was actively communicating with, so there was a short list of suspects. In an email, I asked my student sponsor not to tell me who it was, since it wasn't really relevant, but he told me anyway (subsequently confirmed by other evidence). It was the student I had had the least personal contact with. We discussed nothing except colleges in the USA. There was no other communication passing between us. The conversation was benign, even boring, but because it is very important to my case, I have prepared **** a complete transcript of my conversation with this student **** from the time of our friending in November until the time I received the email from Alistair. I want you see just how innocuous this communication was. Actually "innocuous" doesn't do this conversation justice. It was noble, generous and uplifting, the best kind of exchange I could have possibly had with a graduating student. I stand by these messages, and I am even proud of them. If you read the transcript yourself, you can see that I have reason to be proud. interpersonal boundaries and physical ones. In summary: My entire interaction with this student consisted of discussing her college choices and sending her photos of an American college campus, all with her active consent and participation—exactly as I was doing with the male student. We ran through the schools she had been accepted to, and I discussed the pluses and minuses of each. I took photos of her first-choice college because I happened to be passing through that city in the normal course of my work. She would have no opportunity to visit this college before sending in her acceptance, so my photos were a vital source of unbiased information. She explicitly asked me to visit this campus, and after I sent her the photos, she thanked me. She wrote: "Thank you for helping. It's so important to make the right choice. Four years of my life." After that, apparently, she reported me to the Rektor. I performed almost exactly the same services for a male RCN student (mentioned as "Student #2" in the transcript but "Hero" in this document) who did not report me. We discussed college choices and I took photos of two campuses on his behalf (both of which happened to be in my line of travel). If I were to make up a transcript of those interactions, it would look very similar to the one for the first student. I have no idea what was going through this woman's head when she reported me to the Rektor. (She is a "woman", not "girl". The girl exemption expires at age 18.) The most charitable interpretation I can come up with is that she didn't really "report" me; she was just confused about the contact and was seeking advice from an older person whom she trusted who just happened to be the headmaster of the school. Maybe she really was uncomfortable with the attention I was giving her and was trying to figure out what it meant. In the transcript, I have given this student a pseudonym to protect her identity. I called her "Abigail". This isn't a random name. Abigail was one of the first young girls to make the nebulous witchcraft claims that sparked the Salem Witch Trials. Both Abigails may not have understood what they were doing at the time, but the hysteria was out of their hands from point they made their claims. Once the ball was rolling, the elders of the community stepped in to make it roll even faster. They built a vague complaint with no corroborating evidence into a full-blown Inquisition. You now have a full account of my interactions with Abigail, but I doubt that the administrators had access to this much information. I think all they had was the student's feelings—her claims that she was "uncomfortable with some of my interactions". I suspect that the administrators had little data, only feelings, but feelings amplified by paranoia can travel a long way on their own. The more concerned the administrators were, the more upset others became, agitating the administrators even more, but underneath the vague allegations and spiraling panic, there was no evidence, only emotional impressions. I know there was no evidence because I am the only person with a record of nearly everything. Apart from our brief contact in Copenhagen, all of my contact with RCN students was on Facebook (and a few emails with Hero and a Skype call with him). I have a record of all of my exchanges with every student, but the administrators wouldn't have had the same data. Did they ask to see each student's Facebook page? I doubt it, because it would have raised big privacy concerns, and some students would have balked. Anyone looking at my entire social media record would have seen nothing more disturbing than the transcript linked above. Being blind to these exchanges, I think the administrators filled the void with their own dark paranoia. Their conclusions reveal more about them then they do about me. 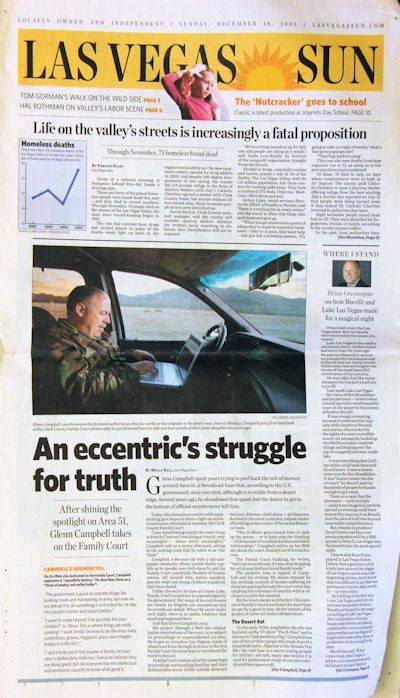 A 2005 feature article about me in the Las Vegas Sun calls me "eccentric". (It's right there in the headline: "An Eccentric's Struggle for Truth".) It's a label I don't mind carrying. Eccentric means that I don't follow a commonly recognized path and don't fit into a simple category. The trouble with being eccentric is that there is always grounds for unease if you are looking for it. Eccentrics were the first people executed in Salem and Vard�. If someone's behavior is inexplicable or outside the norm, it is easy to attribute sinister intent to it. Someone wrote on the anonymous comment form: "Alas, witches are like conspiracies - if you look hard enough, you WILL find them." I believe the administrators made no reasoned inquiry into the content of our communication, because they didn't even ask the most basic question any harassment investigator should have asked: "Have you unfriended him?" In truth, Abigail remained my Facebook "friend" and continued to interact positively with me online even as she is complaining to the Rektor about me. Without her 100% voluntary Facebook connection, I could not have posted photos on her timeline. She also had the option to block anyone whose messages she found distasteful, but she didn't use either of these tools. She just went directly to the Rektor. The more I think about it, the more disingenuous it seems. Abigail continued to put up a front to me that she was my friend and was grateful for what I did, even as she was stirring up trouble for me on campus. I'm not sure this could be called a harassment complaint. The only claim was that the student "felt uncomfortable" with my potential presence on campus. It is more a "psychic" harassment complaint—sort of like "He's looking at me funny," or "She's casting spells." Still, all the perils and pitfalls of harassment claims apply. You have someone making some sort of negative claim, shielded by anonymity, and the accused is given no opportunity to respond. One person, by reason of her gender, is assumed to be the victim, and the other party, by reason of his age and gender, is assumed to be the victimizer. Only in harassment claims can feelings be treated as evidence without any reference to facts. The male is assumed guilty and the female is assumed innocent from the moment the case begins. Unwittingly, I have become a test case on harassment policy at this school. How the administration responded to this claim concerning an outsider is reflective of their handling of claims within the campus itself. If the one student's vague claim of discomfort is sufficient to cancel a one-time lecture, then who knows what internal witch-hunts there have been in the past and will be in the future. And that is why I must take action—for the sake of those future accused witches. Most people accused of witchcraft are already outsiders, are politically weak and are not strong enough to fight the charges against them. Because the standards of evidence are so loose, virtually anything the accused says or does is taken as further proof of his or her deviance. Being accused of crimes I didn't commit doesn't bother me personally. I've been accused of worse in places where I actually had to live. But it turns out that being accused gives me a certain kind of power and a fair amount of responsibility. It shifts me away from the neutral position where what happens at this school is none of my business. Now, it is my business. No, I did not mean that. That was rude. I am sorry. Sigh! I do hope this isn't a UWCRCN student. It doesn't quite adhere to school's principles of reasoned and thoughtful dissent. But who else could it be? Who else would care enough to read this document and respond? At the least, this comment says that somebody, somewhere is getting really worked up about this. Switzerland is cool! I'm hitting lots of new places I haven't visited before. I have a few photos already on-line, but I still have a ton more to edit and upload. Hopefully the weather will clear tomorrow and I'll be able to see the Matterhorn. 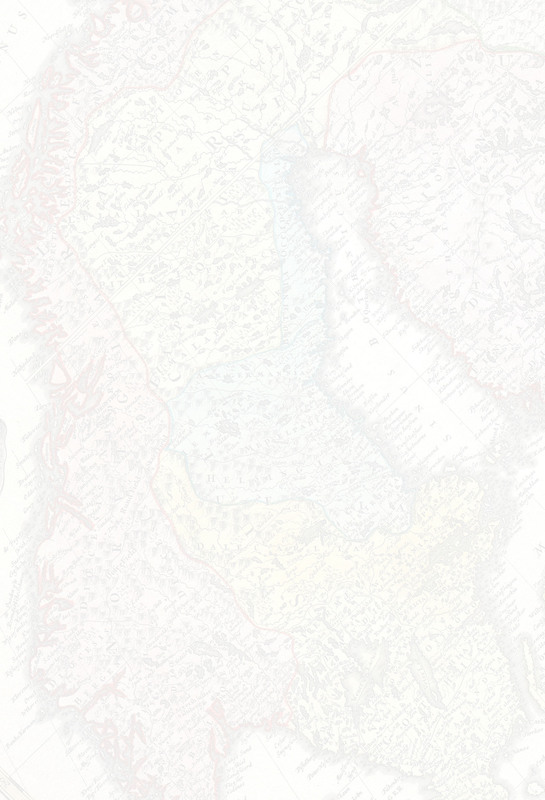 But even surrounded by all this scenic beauty, I am still more fascinated by this document. I've stumbled on a goldmine of philosophical issues here. It's like I have to force myself to go out and do some sightseeing every day. April 19, 07:30 — Here is a comment carried over from the last chapter. I refers to a very interesting tangential issue: Who gets into the school? Implying that a famous politicians daughter can't be chosen based on merit? Deal with that you, as a speaker, did not live up to the schools academic standards, that a student was unconfortable with you and that no one was really interested in hearing about your "not-so-famous" book. Move on. In my comments at the end of the last chapter, I pointed out five grammatical and logical errors in the above message. I don't usually pick apart people's messages like that. I just figured that if one is going to talk about academic standards, one should also expect to be judged by them. Right now, I want to look at the more substantial issue raised in the first sentence: "Implying that a famous politician's daughter can't be chosen based on merit?" Well, yes, that pretty much is what I am implying. She is being chosen based on who her daddy (or mommy) is. Selecting her could be called "merit-based" only if the committee doing the selecting was completely blind to her parents' position when they were reviewing the application. Europe has plenty of boarding schools for the children of elites, but UWC hasn't set itself up to perform that function. It is pursuing higher humanitarian goals, and "solely on merit" is a big part of it. It is important to note that the school itself doesn't appear to have much say on the selection of students (or at least those from outside Norway). The choice of students is made by the national committees within each individual country. If there are students from 95 countries at the school, that implies there are 95 national committees, or something close to it. The integrity of each national committee is likely to reflect the country it is in. You can be pretty sure everything is above board in Scandinavia and the countries of Western Europe, but in countries known to be corrupt, you might not get such a fair process. Some might see the RCN assignment as a plumb to be given out to the children of those in power. If Malia Obama had been chosen to go to this school, would I object? I'm not sure. I guess this is something that has to be judged on a case-by-case basis. Part of this judgment is looking at the country itself and how fair their selection process is.